We buy all types of Telecoms equipment: handsets, phone systems, cards and other related hardware. Let us turn your unwanted kit into cash! System replacement, company closure, office removal/relocation, stock clearance etc. Whatever the reason, we offer the best value for your redundant telephony. So why not subsidise the purchase of any replacement system or upgrades by offloading obsolete items. 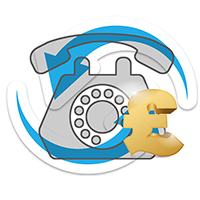 Contact us now on 0044 (0) 333 222 6636 or email us at sell@sellphonesystem.co.uk for a fast, free and fair quote.